The TouchJet Pond is small, lightweight and easy to carry. The touch screen is accurate when used correctly. The included remote, called the Airmouse, can be used to control the Pond and as a pointing device. Display is not HD; resolution tops out at 854 x 480p. The 80-lumens lamp is a bit dim for use in bright settings. 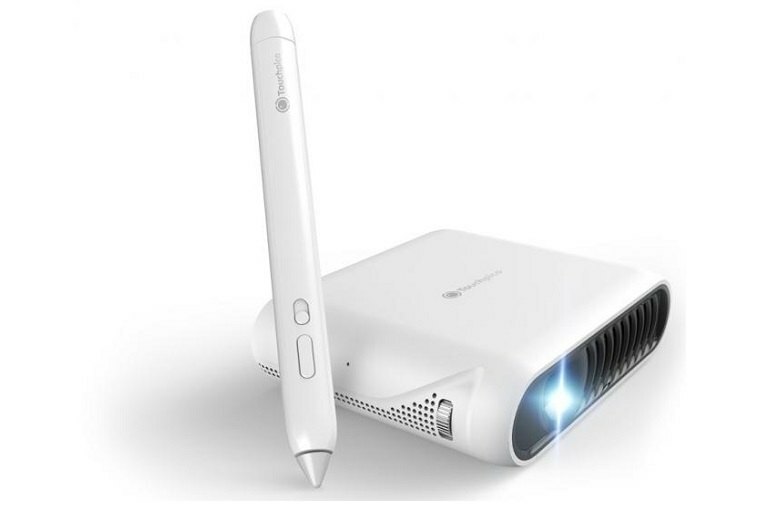 The stylus must be within a line of sight from the projector, making it awkward to use at times. 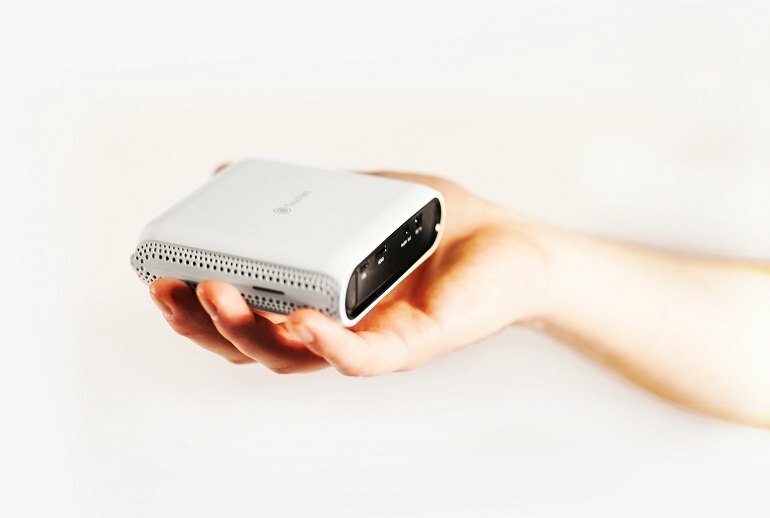 If you took a pico projector and blended it with an Android tablet, you’d have something like the TouchJet Pond, a palm-sized device that can turn any surface into a touch screen. 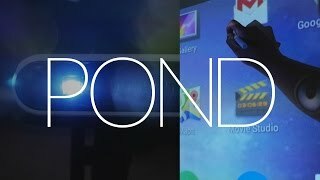 The Pond is both a projector--creating a display as big as 80 inches at 854 x 480p--and an Android device that can run Google Play apps. You interact with those apps on your wall or any other surface by using one of the two included styli. They communicate to the Pond via infrared light, allowing you to play games, draw pictures, and write words on a wall, just as you would a touch screen. The Touchjet Pond has a computer running Android 4.4 KitKat beneath its shell. Android users will be familiar with the screen’s interface once you boot up the projector. The most impressive thing about the Touchjet Pond is the sheer amount of technology the company has been able to pack into such a tiny case. It doesn't have a microphone (and) some apps won't install on it. Now, the Touchjet Pond can be used in a number of ways, first, in the home it can be used as the source of the best movie-night you’ve had, as well as offering the biggest game of Angry Birds that you’ve ever played. The 854-by-480 native resolution necessarily limits video quality. 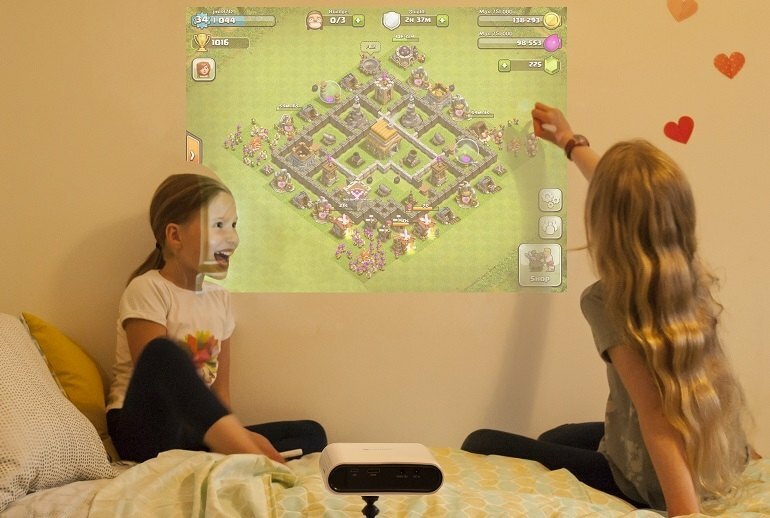 Within those limits, however, image quality is more than acceptable for long sessions, despite the projector's tendency to lose shadow detail (details based on shading in dark areas). One main issue with the projector also seems to be heat and noise. Once you set the projector to task doing anything the fans kick in, the temperature starts to rise and it seems to slow down, whether this is down to the heat or just the processor struggling I’m not sure. The Airmouse is clearly the best feature of the Pond: it is well built, it interacts naturally with the interface and the apps, and it has all the commands you would need at the tip of your finger. Using the Pond was rather like having a giant Android tablet fixed to the wall, though obviously at a lesser image resolution. There's also no reason you can't use it for entertainment, but this is where you might feel the specs fall a bit flat. The Pond's colors and brightness are surprisingly good, but it has a resolution of 854x480 -- barely more than VGA and far short of HD. The display quality may not be the best around, but it’s not hard to see how having a portable, giant Android touchscreen could be useful for teachers or families. 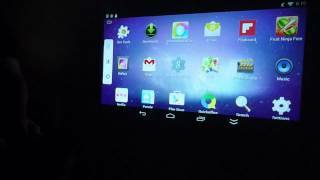 80" Android Tablet? 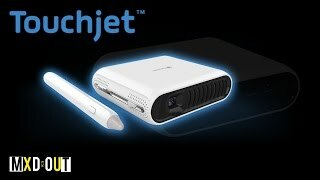 - TouchJet Pond Review!